The Alabama Power Foundation has made a significant philanthropic investment–the largest gift to support research in university history–to create the Charles D. McCrary Institute at Auburn University, as announced on Friday, November 7, 2014, by the Auburn University Board of Trustees. The gift is being made in honor of McCrary’s recent retirement as president and chief executive officer of Alabama Power Company. McCrary, a 1973 mechanical engineering graduate of Auburn, completed a 40-year career with the company in April. The new institute will focus on interdisciplinary research and advanced technologies to improve the security and operations of our nation’s infrastructure while valuing natural resources and conservation. 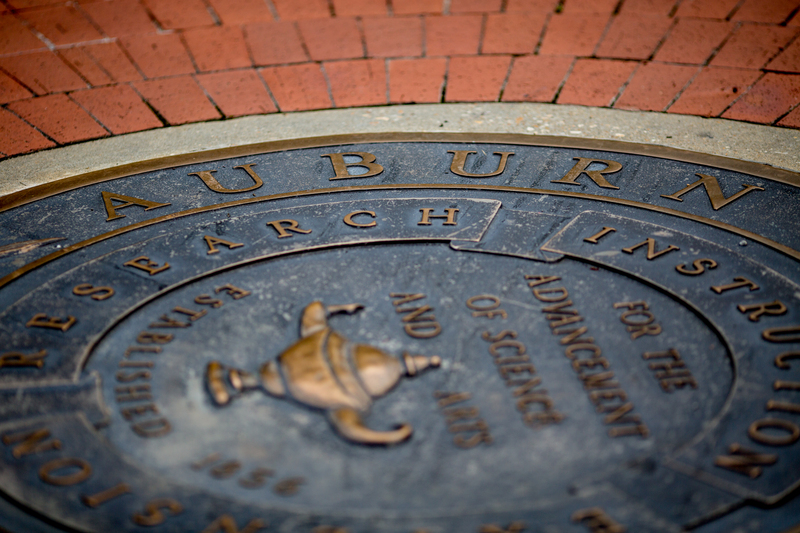 The creation of the institute will enable Auburn to attract nationally recognized faculty who are at the forefront of emerging technological issues, while leveraging existing university resources and personnel to broaden the institute’s technological impact and to inform policy and practice. McCrary was introduced to Alabama Power through the work of his father, Douglas L. McCrary, who had a long and distinguished career at the company. Charles McCrary’s first job at Alabama Power was a part-time summer position in 1970, following his freshman year at Auburn. Following graduation, he joined the company full time and moved steadily into roles of increasing responsibility. He became president and CEO of Alabama Power in 2001. During his tenure as chief executive, McCrary led the company through some of its most significant natural-disaster challenges, including Hurricanes Ivan and Katrina, and the devastating tornadoes of 2011. He has been a leader in numerous civic, business, and educational initiatives, and a force for economic growth in the state, serving as chairman of the Economic Development Partnership of Alabama. He also was a key figure in the creation of the seven-county Birmingham Business Alliance. He is an avid outdoorsman and serves on the board of the National Fish and Wildlife Foundation. “We are incredibly appreciative to the Alabama Power Foundation for choosing to honor Charles McCrary in this significant and meaningful way. By supporting people and programmatic activity here at Auburn, a place Mr. McCrary clearly valued, they ensure that their tribute to him will have lasting impact for years to come. It is particularly appropriate and fitting that the newly formed Charles D. McCrary Institute will help to steward the abundant natural resources here in Alabama, which clearly mean a great deal to him as well. There is a direct linkage between these resources, quality of life, and economic development,” said Graeme Lockaby, interim dean of the School of Forestry and Wildlife Sciences at Auburn University. “This investment will serve as a catalyst for other enterprises to invest in these programs that will have long-term implications for advanced research, policy formation, economic development, business expansion and job creation,” said John Mason, vice president for research and economic development at Auburn University. The Alabama Power Foundation is celebrating its 25th anniversary in 2014. Since its creation in 1989 with funds donated by shareholders, the foundation has provided Alabama communities, educational institutions and nonprofits more than $150 million in support through more than 20,000 grants and scholarships. Learn more about the Alabama Power Foundation at www.powerofgood.com. By auburnresearch in Auburn Speaks, Cyber, Energy and the Environment on November 10, 2014 .